This has sometimes been included in the tracks that feature Hendrix. 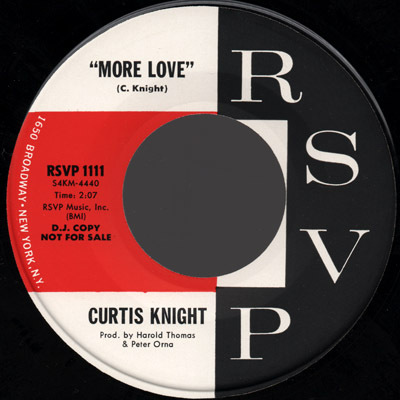 The catalog number pre-dates the two RSVP Curtis Knight singles that Hendrix is known to have played on, the producer is not Ed Chalpin or Jerry Simon like on other recordings featuring Hendrix and it was released in April 1965 whereas the singles involving Hendrix came out in 1966 so it most likely was recorded long before Hendrix joined Curtis Knight's band. With text: "D.J. Copy Not For Sale"